Show N Tell Fringed Dahlia begs the question orange you glad you chose me? 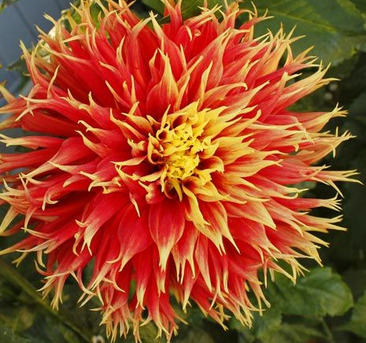 Brilliant two toned orange and yellow blooms 9 inches in diameter will add a vibrant, pulsating warmth to your garden and bathe all who visit in their solar flare embrace, no one will escape the majestic gravitational attraction. 1 clump/pkg.